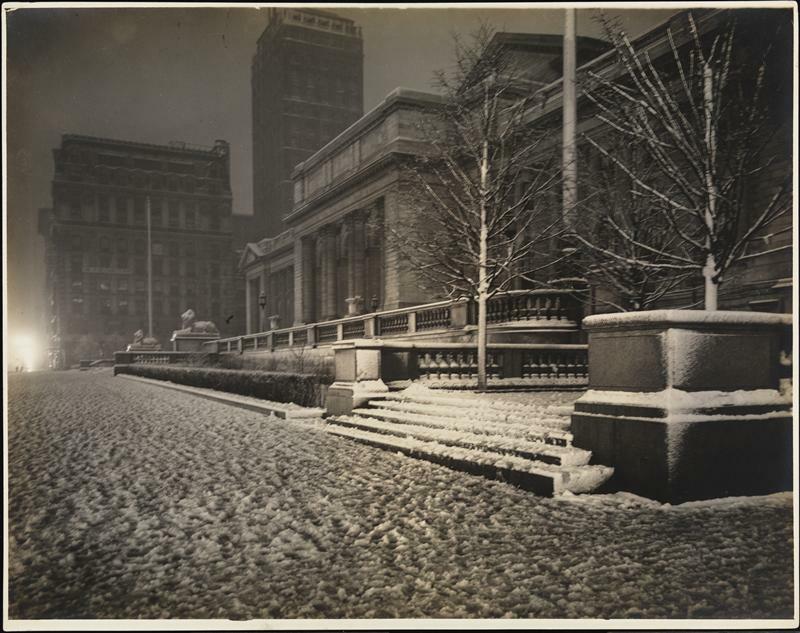 The New York Public Library designed by Carrere & Hastings and opened in 1911 in New York City photographed during a winter night in 1915. 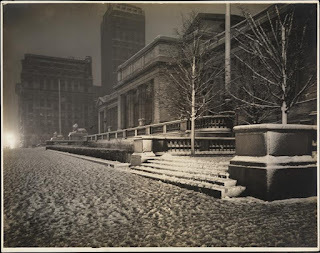 Click HERE and HERE for more on the NYPL. Photo from the Museum of the City of New York. What I like the most about this firm is that they took the Victorian ideals of heavy intricate design and applied it perfectly to their exuberantly elegant structures. Best examples being certain nooks and halls in this library and the Frick and Blair residences. Carrere & Hastings were God's. I thought I read somewhere that there might be a major renovation planned for the library that might take away much of the intricate work of C& H, and many are protesting this. Did I hear correct? Ugly modern...leave it as it is.